Last year, we released the second installment of the industry's leading annual report - The 2018 State of API Integration. The 2018 edition analyzed data from within our API integration platform, which included over 1.6 billion API calls and 160+ endpoints. 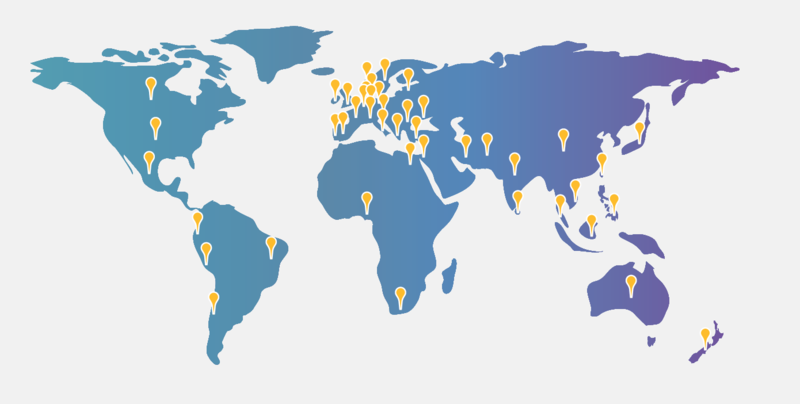 Additionally, we collecting data by surveying API enthusiasts across 20+ distinct industries, 44 countries, and 6 continents. This year we continued to expand our global research by collecting data from 350 API enthusiasts, in over 20 distinct industries, with annual revenues ranging from less than $100,000 to over $25 billion. Our second State of API Integration survey was distributed between September 2018 and January 2019 to representatives of these companies. Their responses contributed to the identified trends surrounding the existing demand for API integrations and the roadmap for leveraging integrations in the future. We are excited to launch the 2019 report this Thursday, April 4th at 11am MDT with a live webinar. You can register here. But first, let's get into a sneak peek at some of the key results! The analysis in the 2019 State of API Integration Report represents data collected from companies across 50 countries and 6 continents. In 2019, over half of the companies surveyed are building B2B products followed by mobile, B2C/consumer, employee productivity, and IoT products and applications. Compared to 2018, there has been a shift in monetizing API integrations. 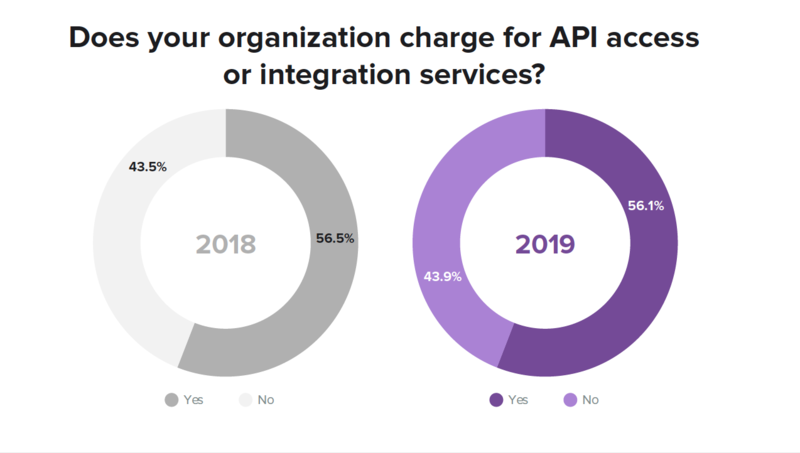 In 2019, 56.1% of companies are charging for API access or integration services compared to 43.5% in 2018. API integration is simply a means to an end; building an integrated experience where data flows seamlessly between the apps you and your customers care about. Yet, API providers are still no making it straightforward for developers or practitioners. 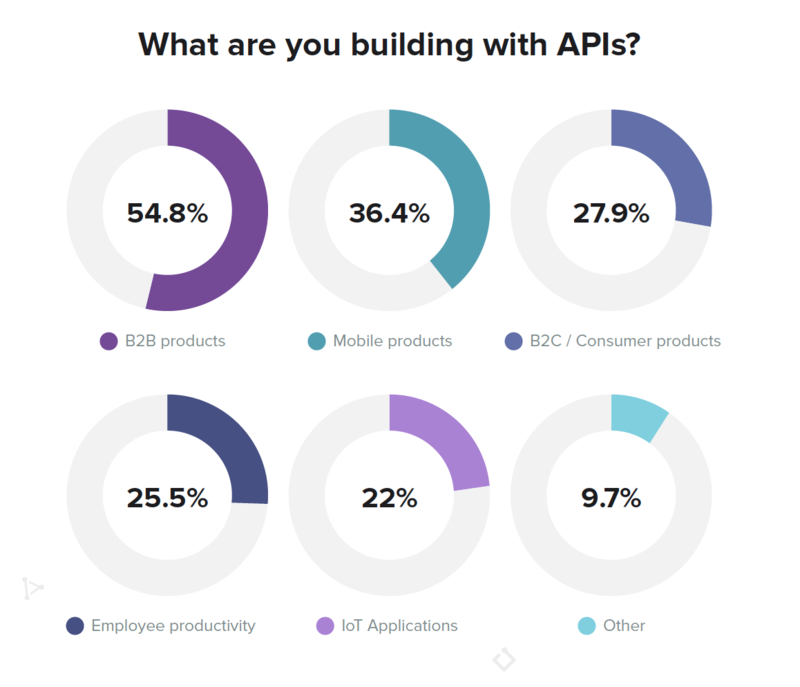 That’s just a small preview of the insights you’ll find in the full 2019 State of API Integration Report. 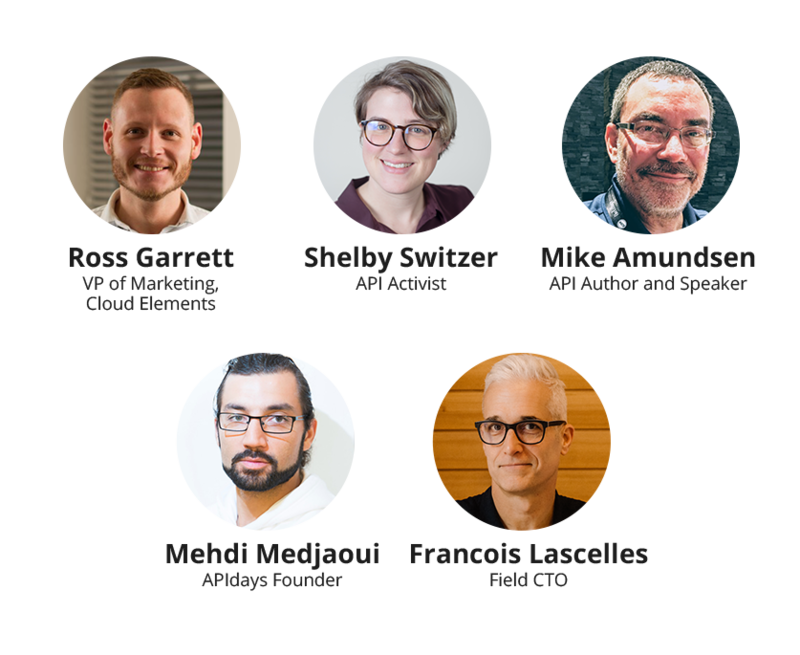 The full report will further dissect the survey data and include insight from industry experts Ross Garrett, VP of Product at Cloud Elements; Shelby Switzer, API Activist; Mike Amundsen, API Author and Speaker, Mehdi Medjaoui, APIdays Founder, and Francois Lascelles, Field CTO at Ping Identity. We will highlight top trends uncovered from the State of API Integration survey, including key challenges facing developers in the API space, important changes from 2018 results, and a forecasted view of the future of the industry. Don't miss the live webinar this Thursday, April 4th at 11am MDT! The full report will be released shortly after the webinar. Save your seat by registering below.